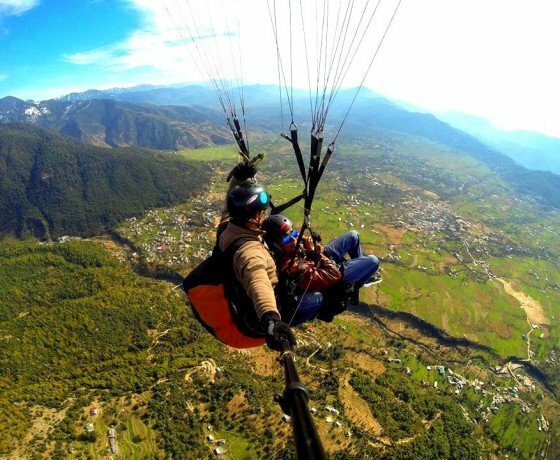 Camping, Trekking and Paragliding in Bir-Billing. 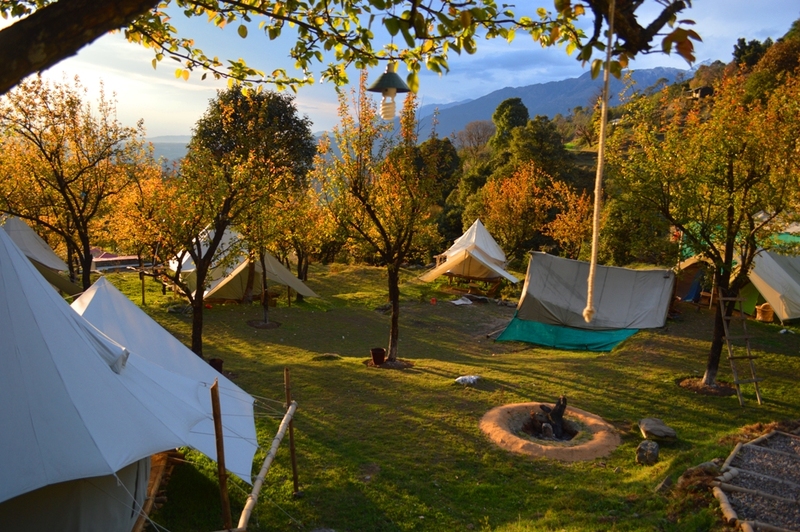 Stay Location: Camp Oak View,Bir Billing, Palampur, Himachal Pradesh. 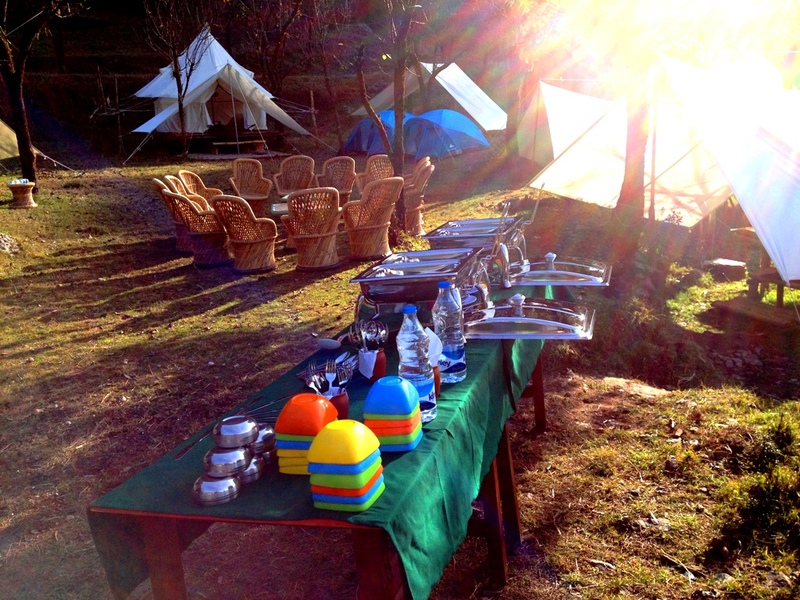 Includes: Camping in Camp Oak View, Trekking with local guide, paragliding session. 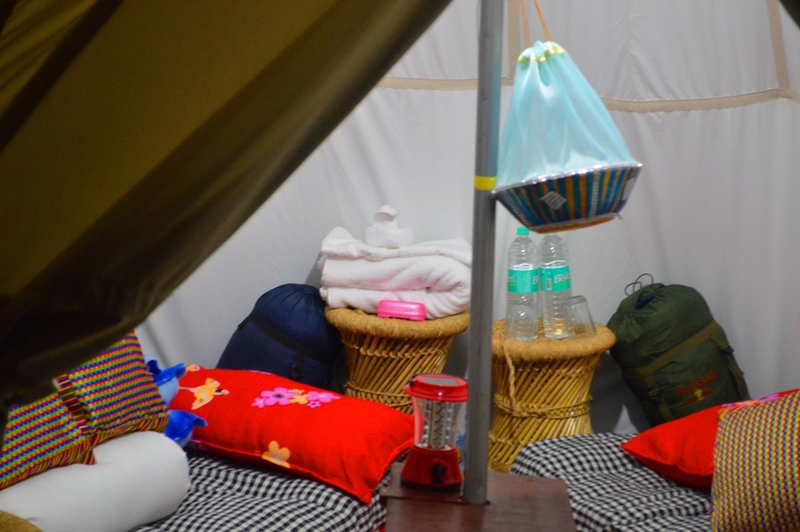 Duration: 3 Night and 4 Days. 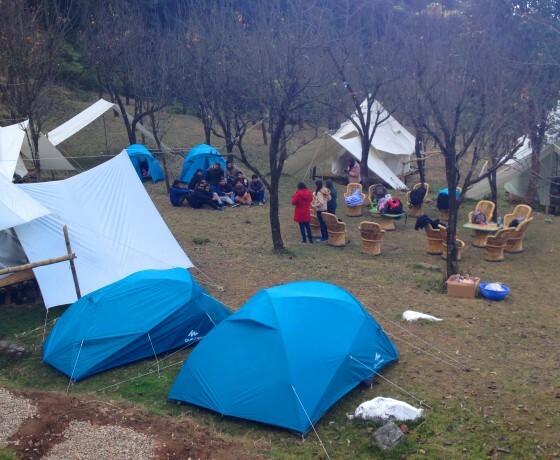 Day 1:- Arrive Bir and overnight stay in Camp. Check in at 1400 hrs, hike around camp and sunset point. 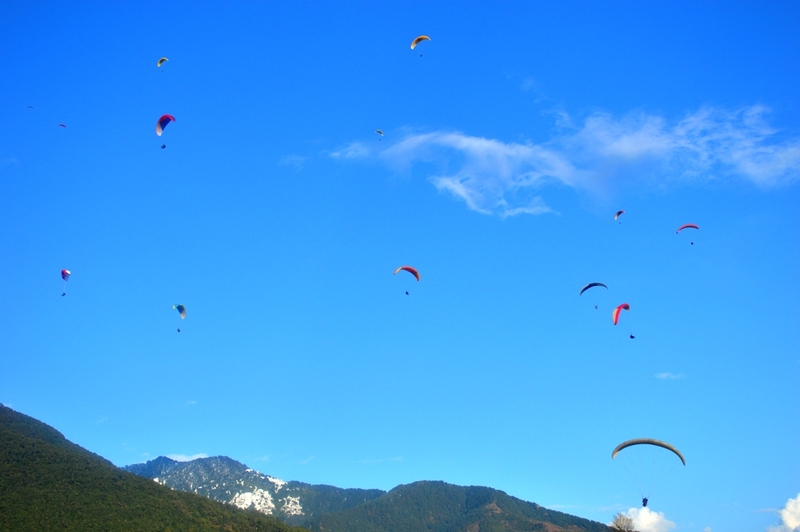 Day 2:- Paragliding session and monastery visit. 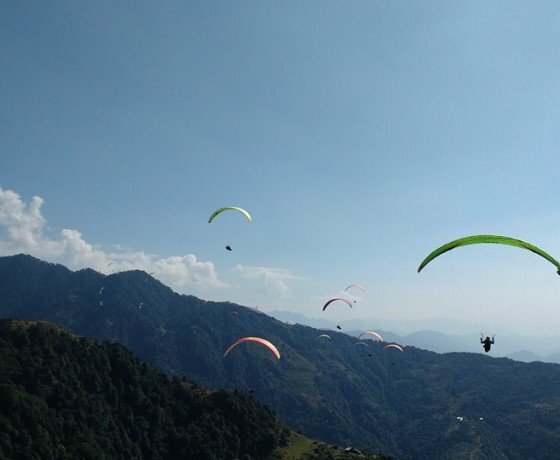 Paragliding, Monastery and Bir visit Morning post breakfast drive for 18 kms for take-off point to Billing for paragliding flight of 15-30 mins. 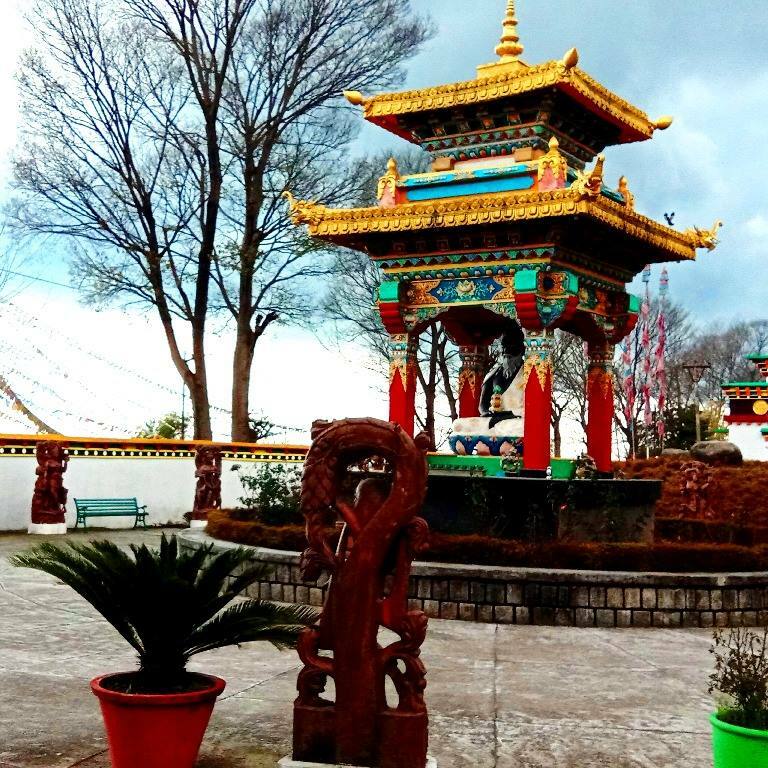 Landing at Bir and visit Palpung Sherbling monastery, Bhattu. 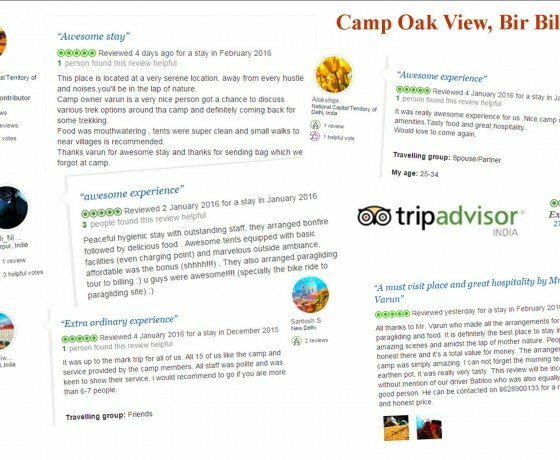 Overnight stay in Camp Oak View, Bir. 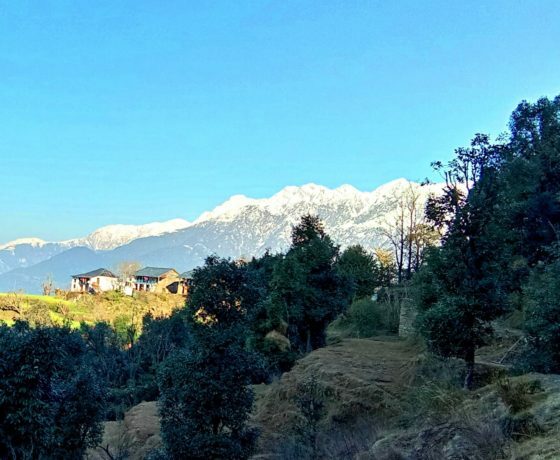 Early morning drive to Bada gran village enroute visit Barot. 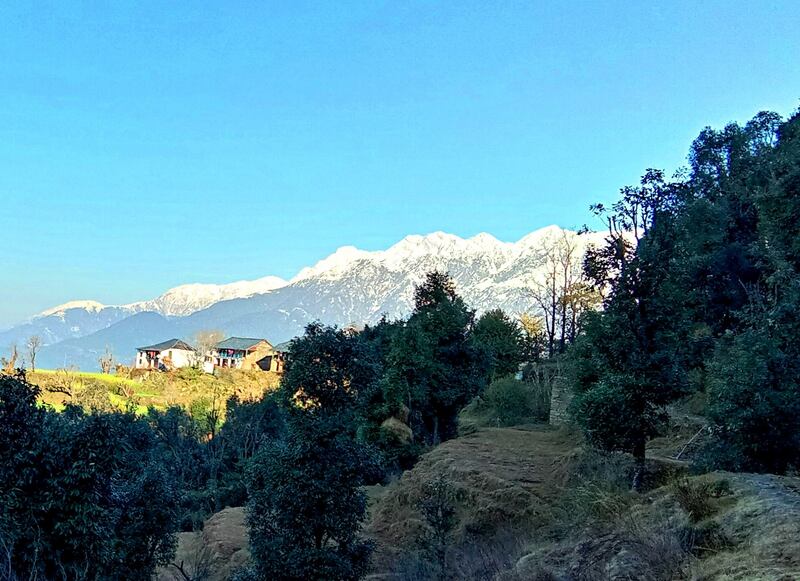 Resume trek from Raj Gundha village. 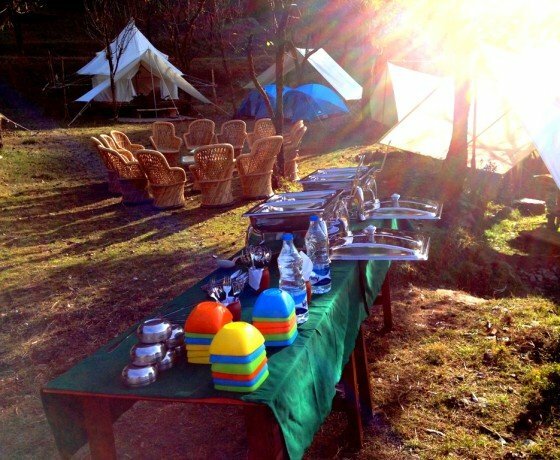 After Raj gundha village trek enter to Deodara and Oak forest. 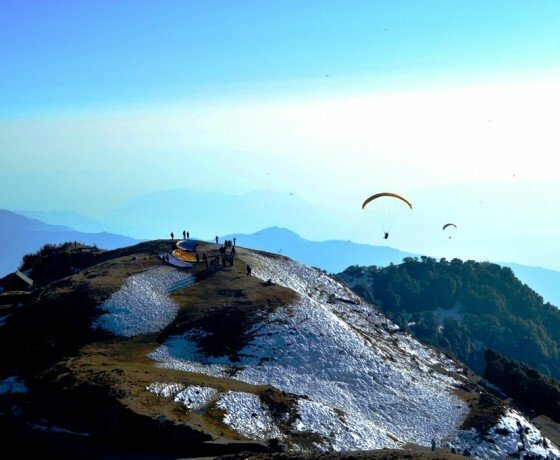 Trail start gaining altitude till Channa ghat, which is highest point of trek at 2700 mts from sea level. 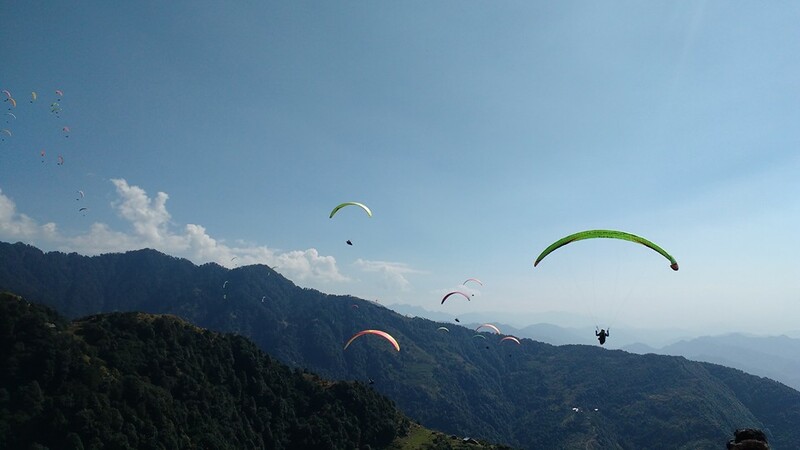 From Channa ghat, we have the view of Thamsar peak and Billing on the other side. 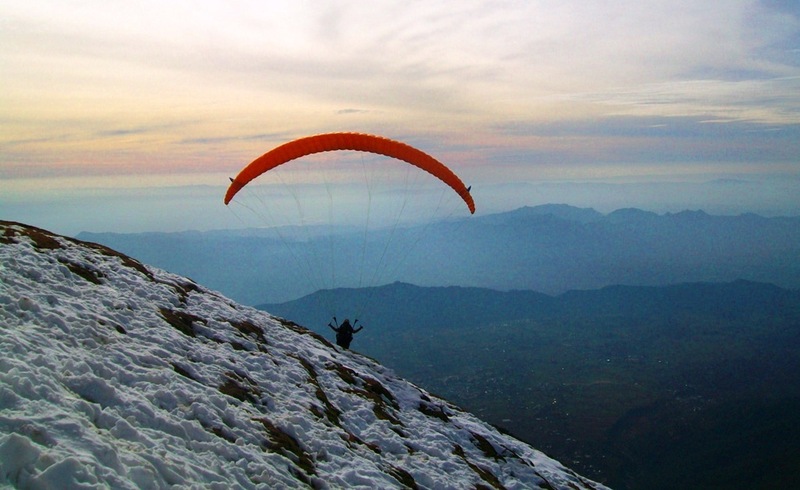 Trekking for more 2 -3 hrs you will reach at Billing, which is take off point of Paragliding. 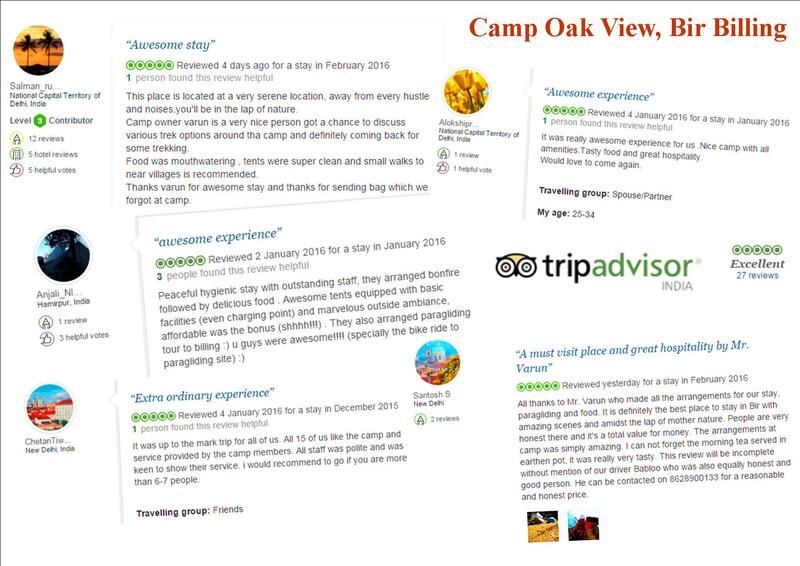 •	Accommodation for 03 nights at Camp Oak View, Bir on twin/triple sharing basis. •	Meals as mentioned above. 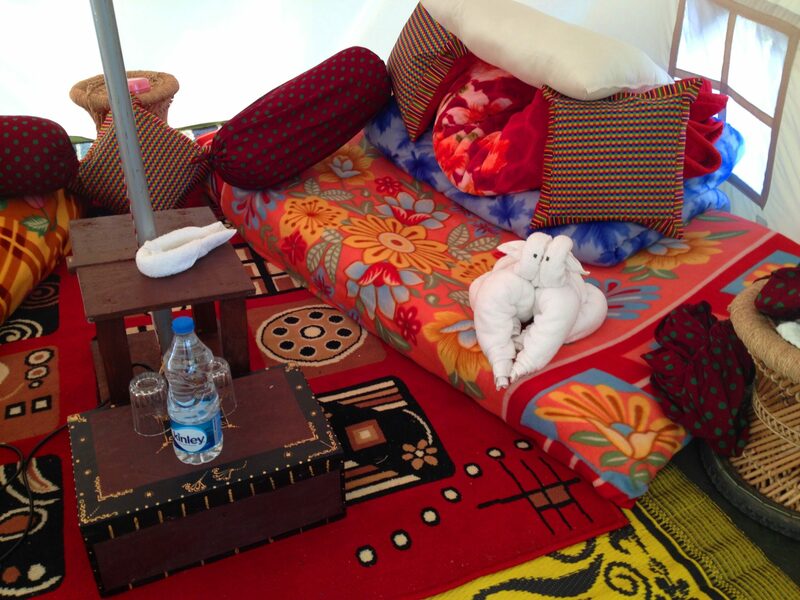 •	Check in 1400 hrs and check out 1000 hrs. 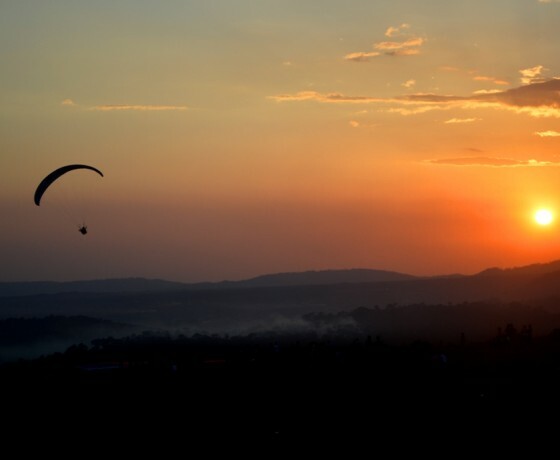 •	Arrival and departure transfer. 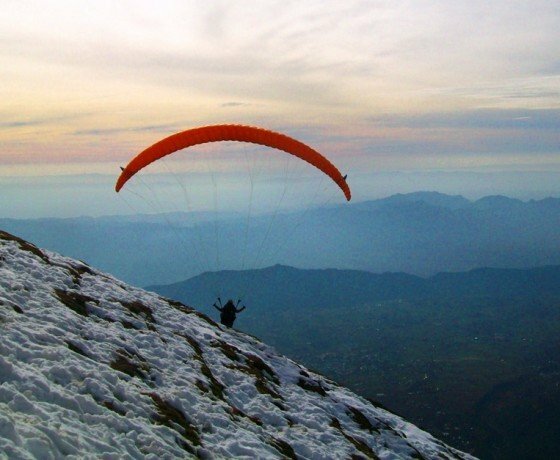 •	Paragliding weight limit is 15-95 kg, if weight is between 95-115 kg the paragliding team charge INR 500/- extra and also decide it at the time of paragliding, depending upon fitness of person. •	Luggage or bags transport in mules during trek. 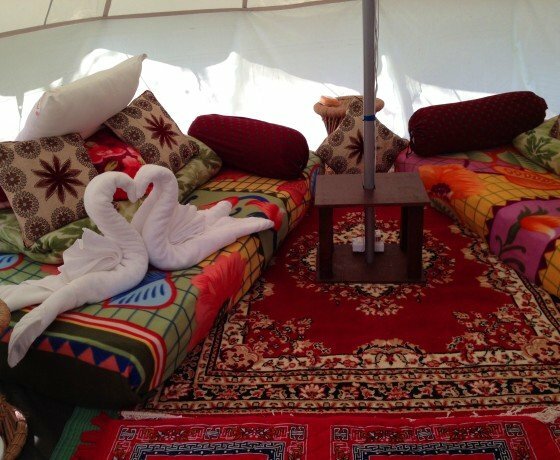 Glamping / Camping in Bir-Billing. 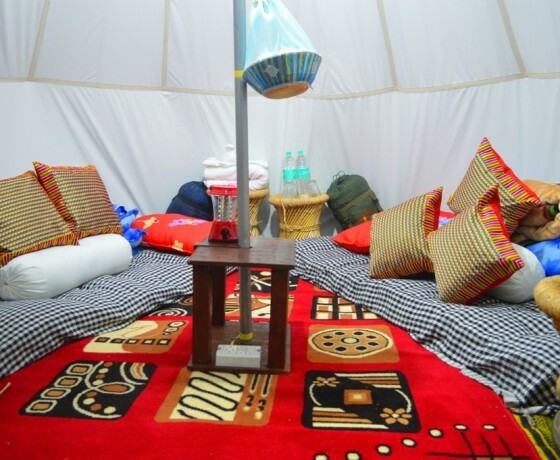 Experience outdoor camping with hospitality and comfort with us. 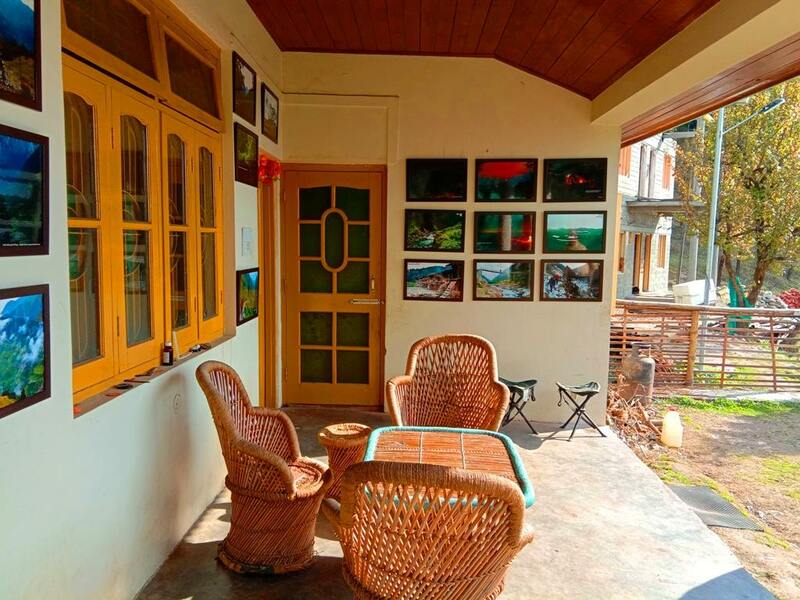 Our team is friendliness, hospitableness, warm reception, helpfulness, welcoming for the guests visiting Bir-Billing. 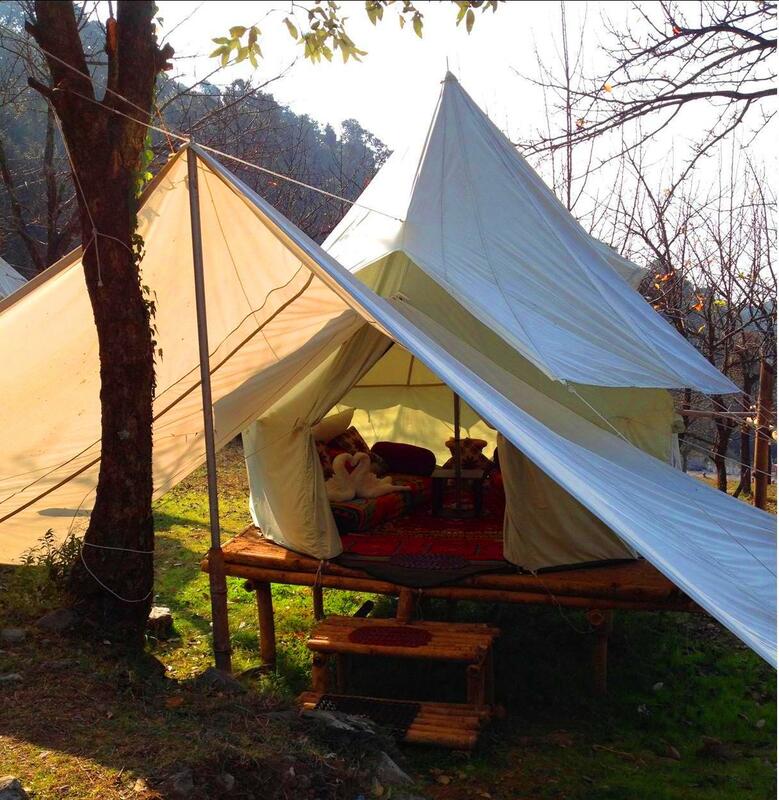 Glamping here provide you different experience of Bir and surrounding. 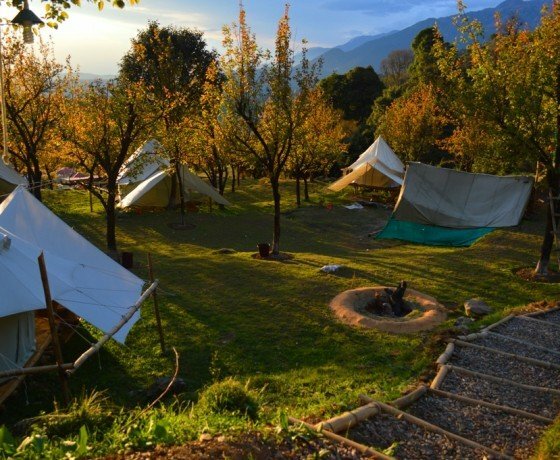 Anyone can love the peaceful and beautiful environment around our Camping site. 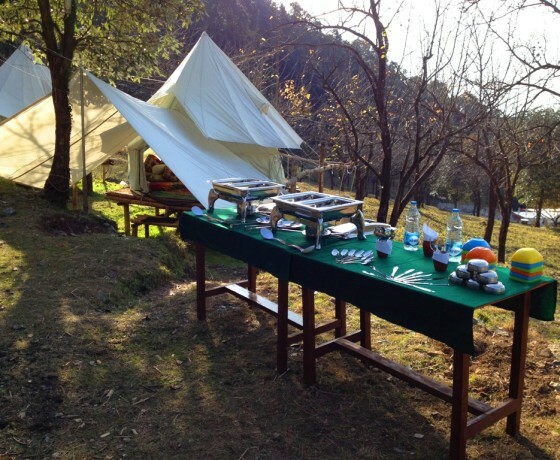 Camp site is surrounded by Oak, Rhododendron and Deodar forest. Trail passing through forest lead us to village at the walking distance of 5 minutes. 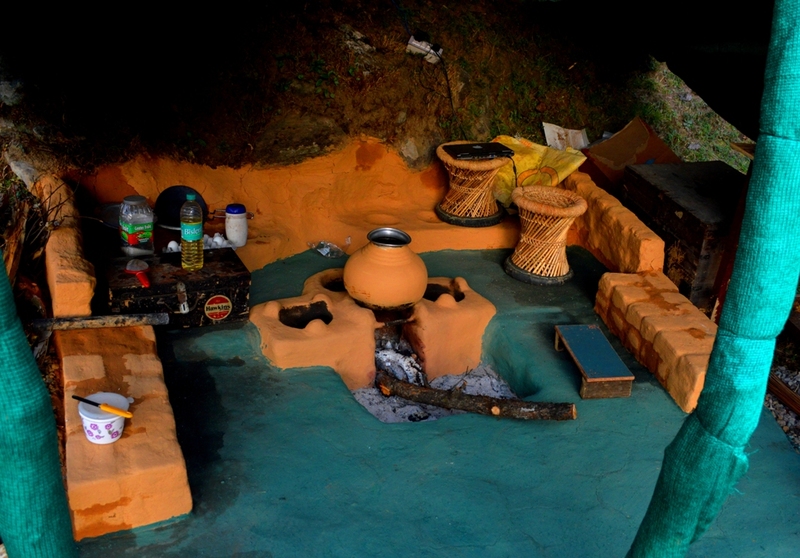 Village is the gateway to the forest area. 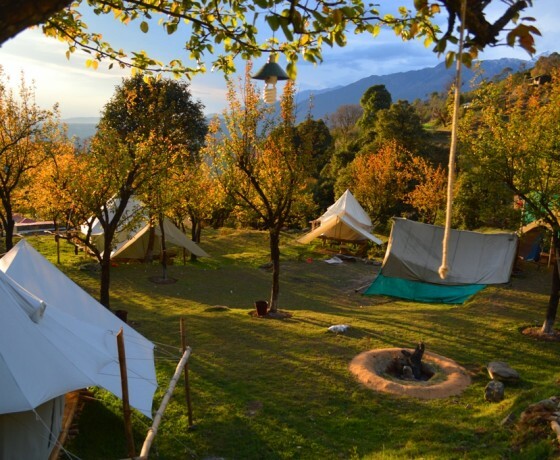 Bir-Billing Camping is at the altitude of 5700 mt. from sea level. 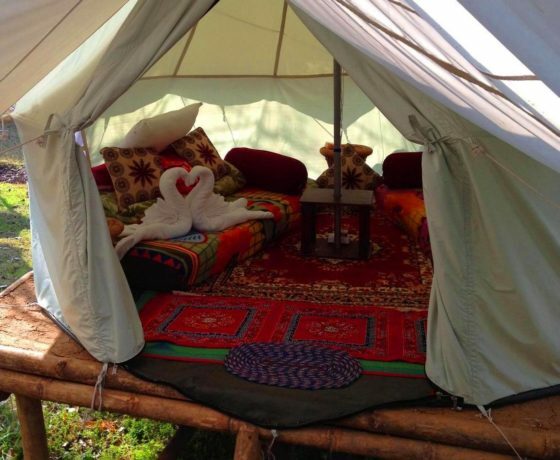 Bell Tents with common baths and toilets. 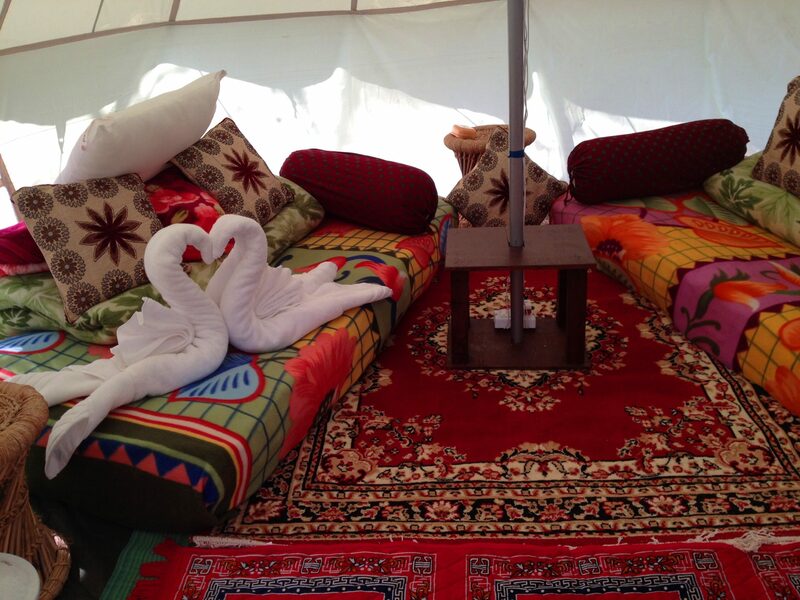 We have 5 Bell tents. 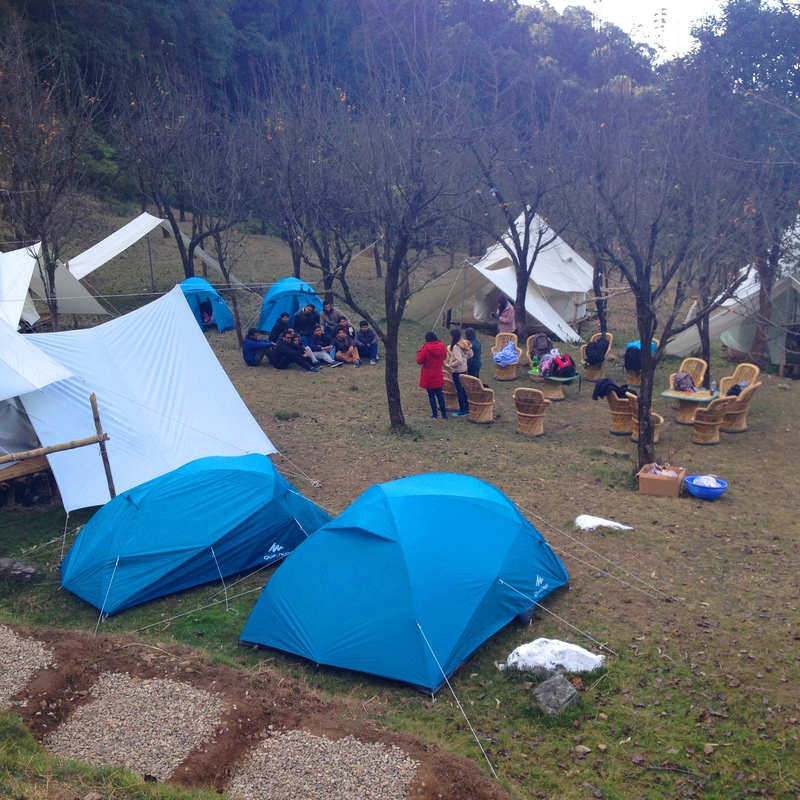 Dome tents with Common baths and Toilets. 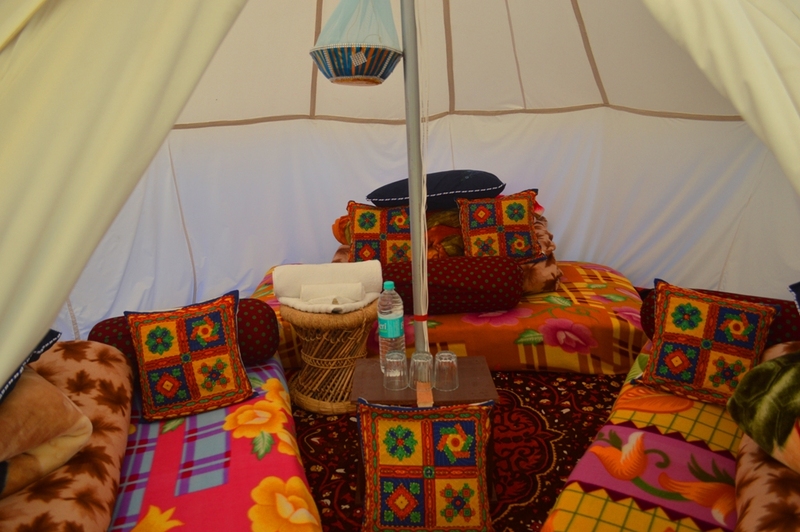 We have sufficient number of dome tents. 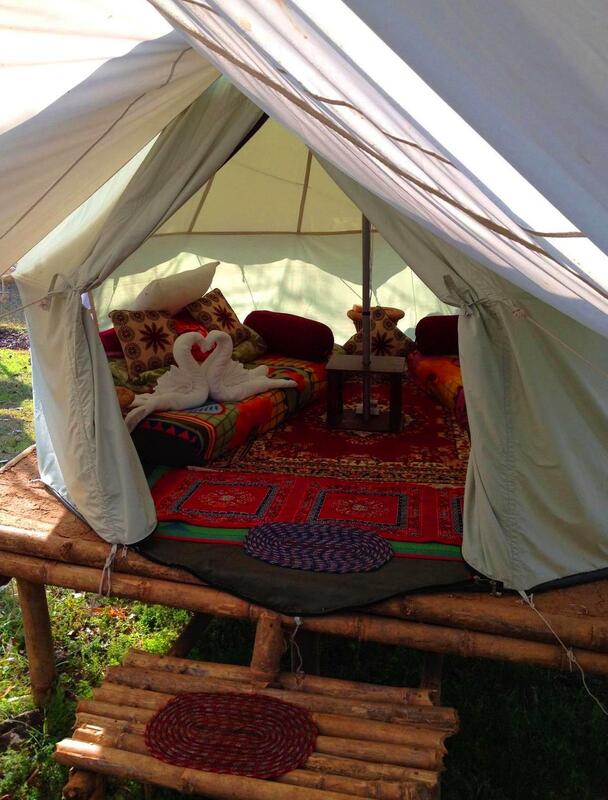 Can be pitched in any number in our Camping area. 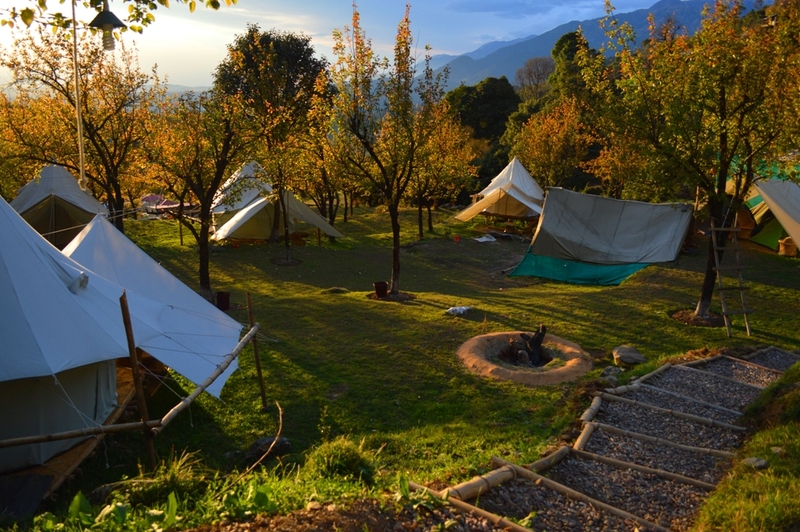 Camping in Bir-Billing is an Eco-friendly and developed in sustainable way. 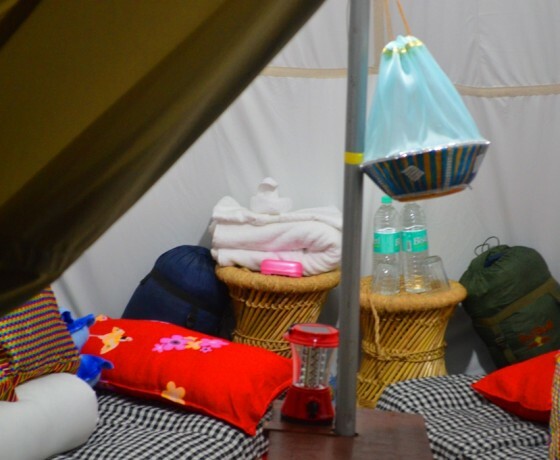 We used bamboo in our camp site to developed common bath and toilets. 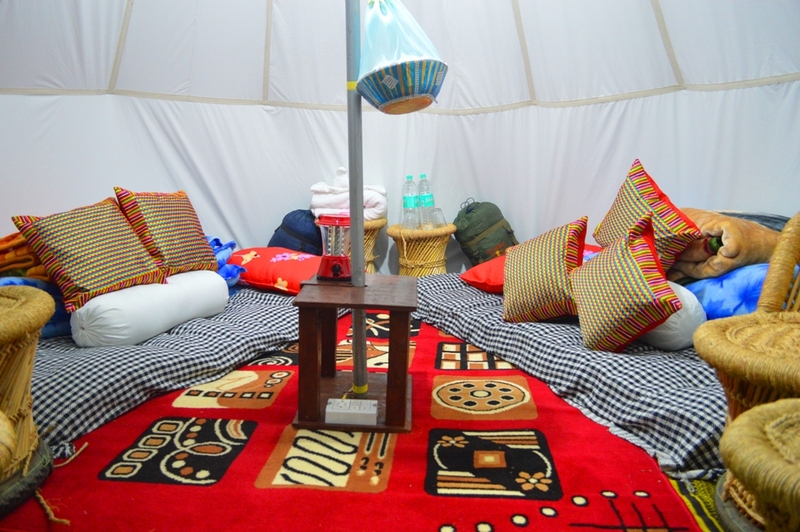 Bamboo used for tents base which are designed to elevate tents from ground and which reduces the use of concrete. 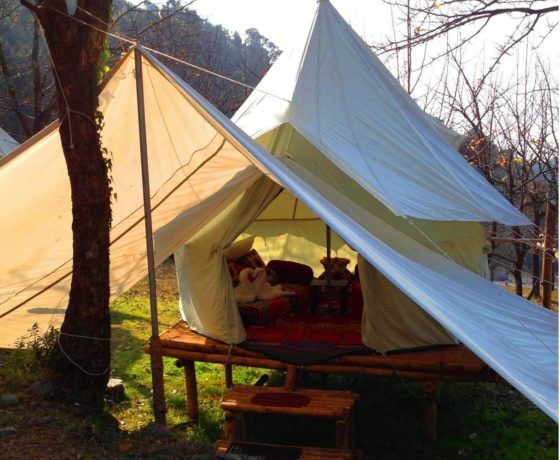 These bamboo bases made tents safe and dry from rain water. 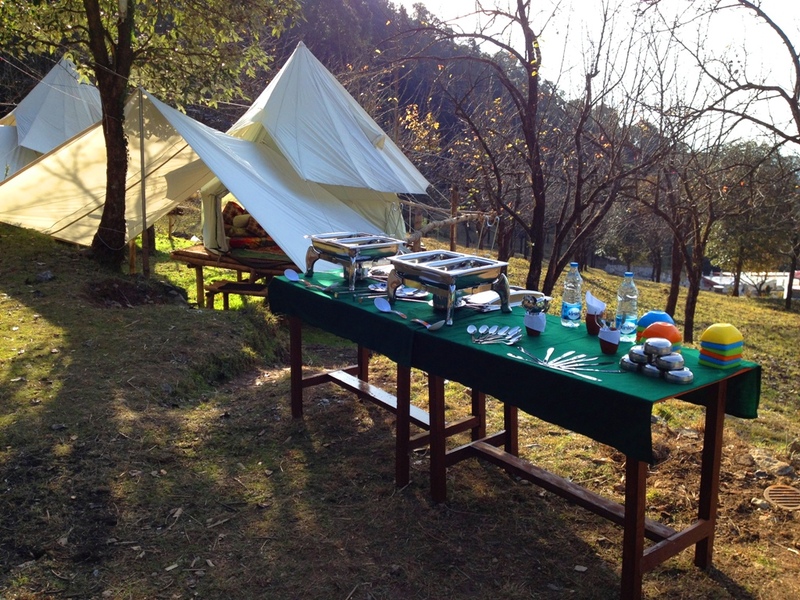 Camping food is mostly cooked by local grown vegetables by nearby villagers. Waste water is cleaned by traditional way, by stone sand recycling and released to orchid trees. Kitchen waste is divided in recycle, bio-degradable and non bio-degradable. All the wastes decomposed and utilized accordingly. 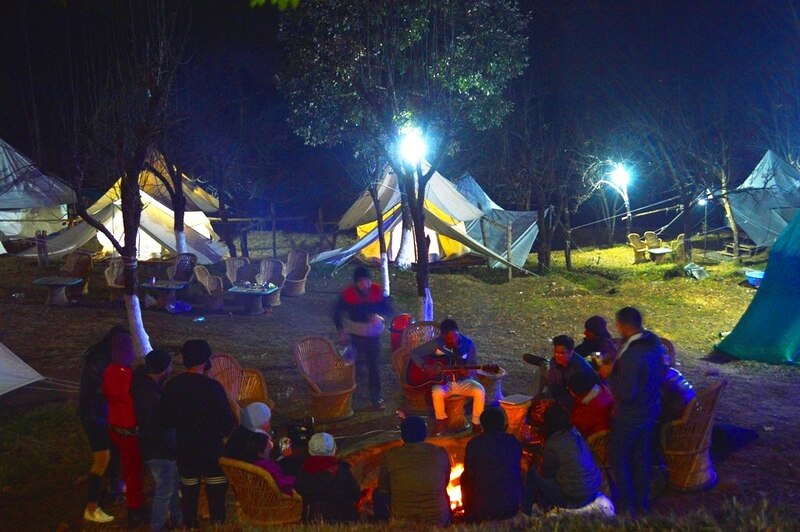 Camping site/ Glamping is well connected with road from Bir (landing site) and Billing (paragliding takeoff point). 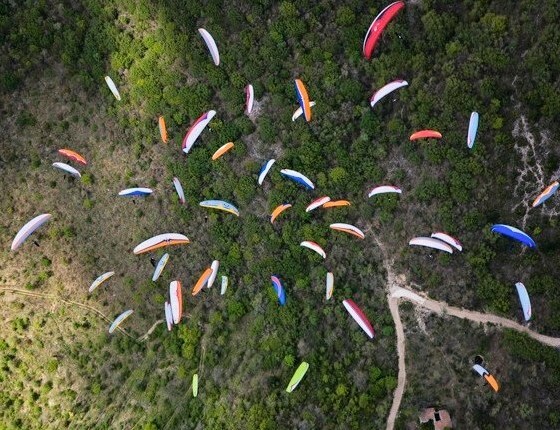 To reach our camping site you can experience 3 km. off road driving in forest. 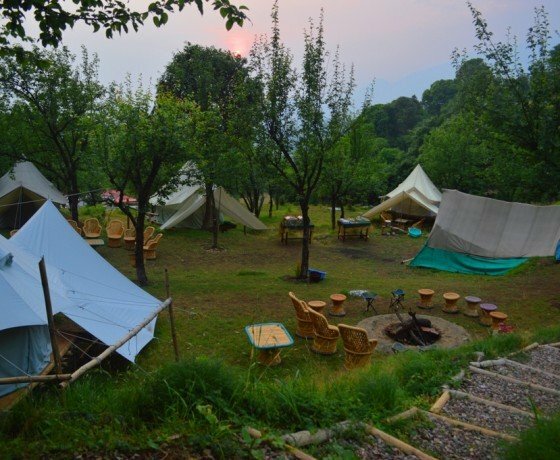 Campsite is not seen from road and outsiders. 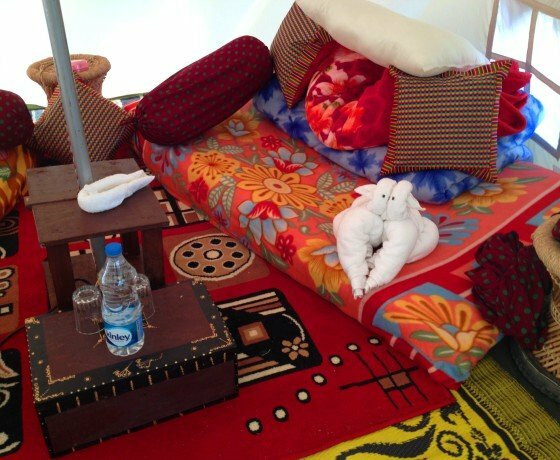 It is a total secluded area. 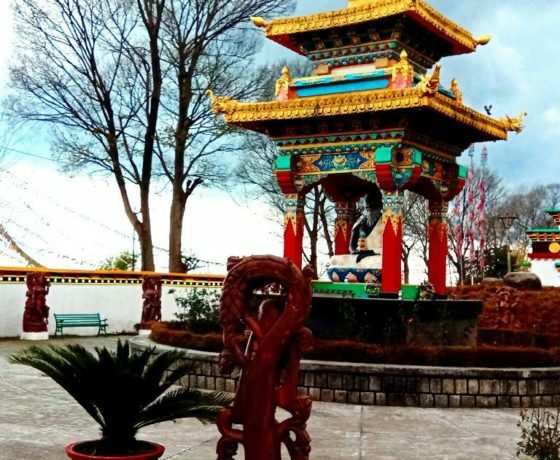 One can spend time in peace and calmness here. 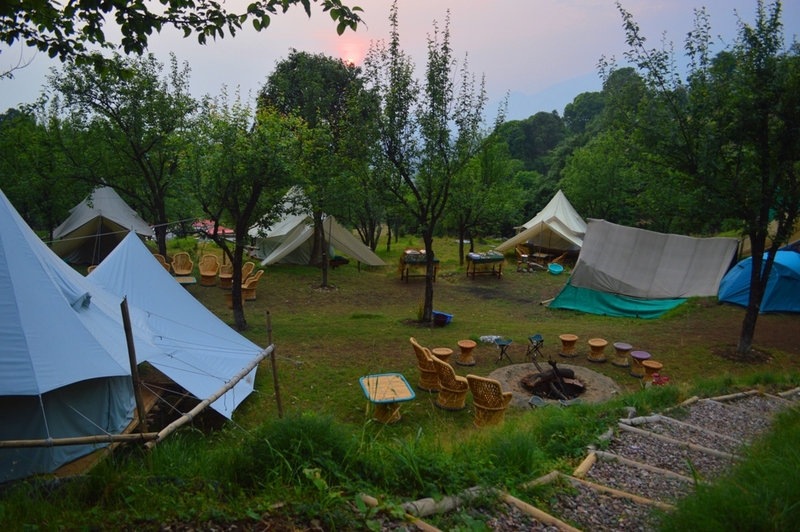 Camp site also accessible from Palpung Sherbling Monastery Bhattu, which is 5 km. away. 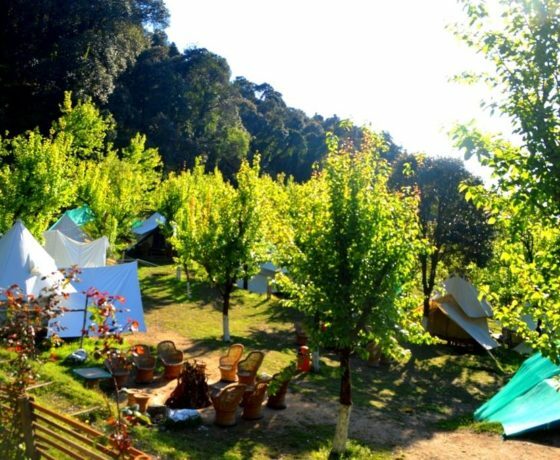 Village walk:- Village is at the distance of 5 minutes from the camp site.Trail to village is passing through rhododendron trees. 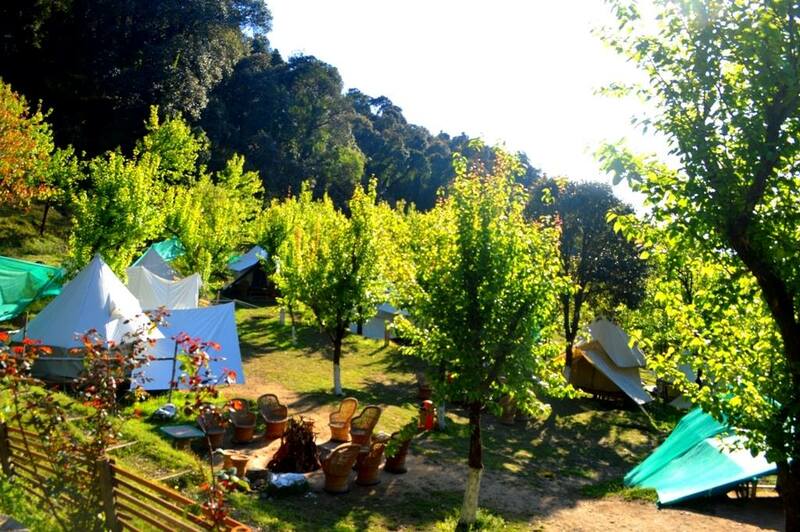 Village is not visible from camp site but adjacent to it. 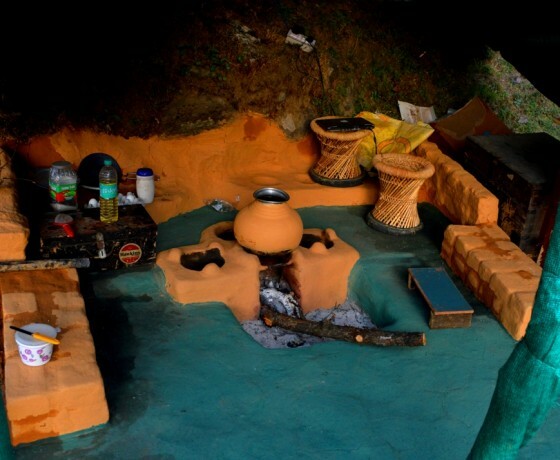 Village houses are built in old way. Most of them by mud and wooden logs. They work in their fields most of the time. It’s a different experience to see how they live in old traditional way. 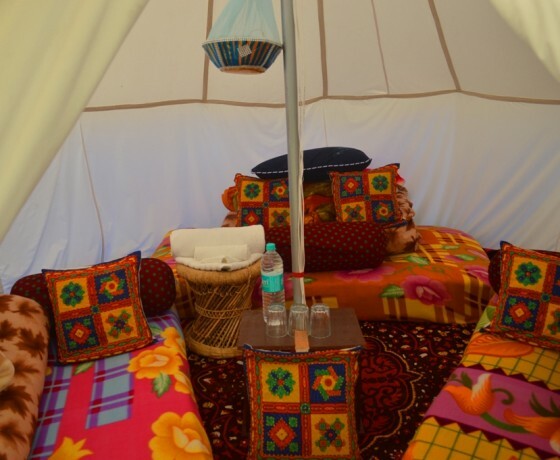 Villagers around our glamping – wave their own shawls and warm pattu out of sheep wool. They have small weaving units at their home. You can visit and see how they do that. 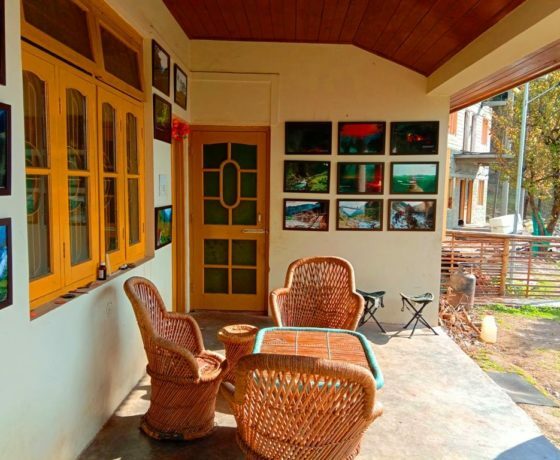 Nature walk: – Trails around Bir-Billing leads to dense forest. 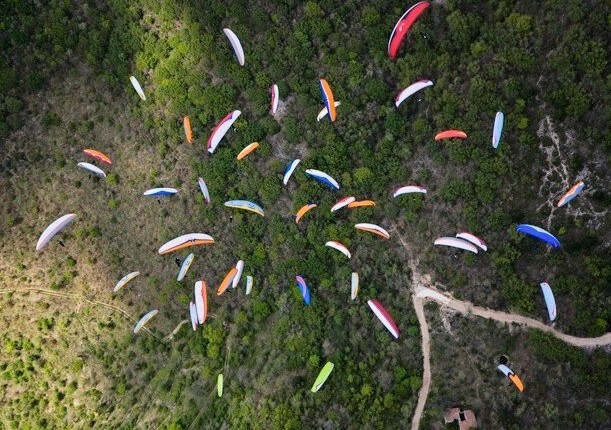 These trails are used by shepherds. When they migrates to upper regions in summers for higher grazing fields for their flock. 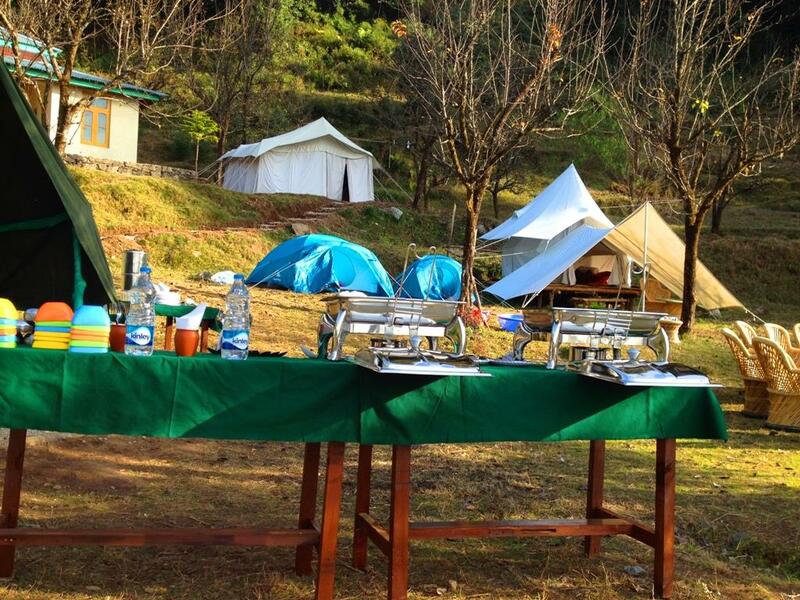 Forest around the camp site provide wide variety of birds spices. Some of them are declared endangered by wild life department. Many animals like mountain goat, bharl, dear and in the upper region sometime leopards spotted in the forest. These animals always stay away from human and not spotted easily. If really need to spot some of then you definitely need a local guide. Birds sound spreads all around in the morning and evening. 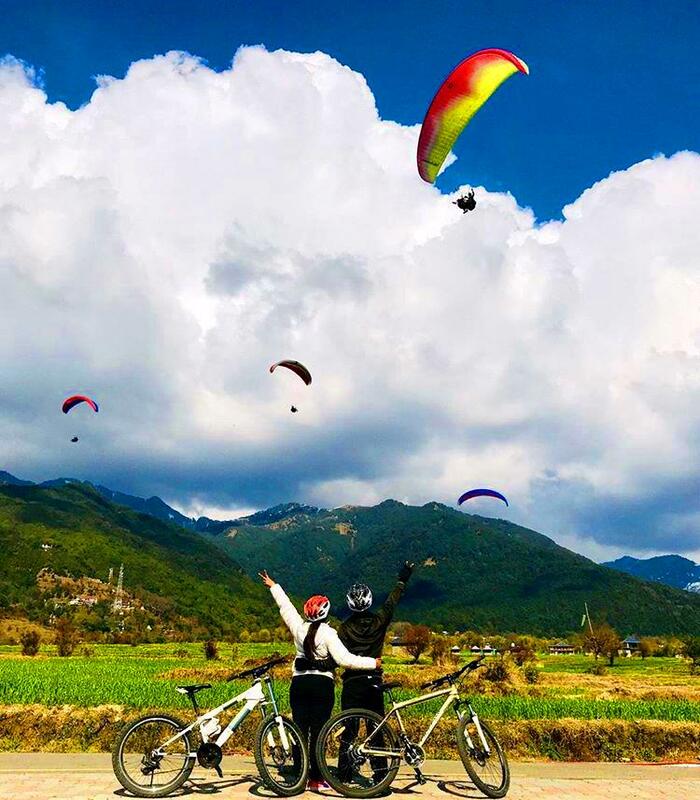 Mountain Biking:- Best thing to do around our campsite is mountain biking. Mountain bikes (5) available on low sum of money- 700 bucks per day basis with us. But if we hire for Bir they will charge up to 1000 bucks. Routes around camp site are best suited for mountain biking. 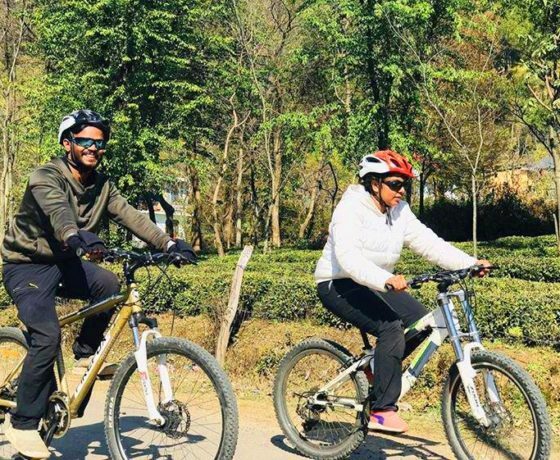 One can bike from Bir to Billling which is 14 km. trail. For more information on Mountain biking trails. 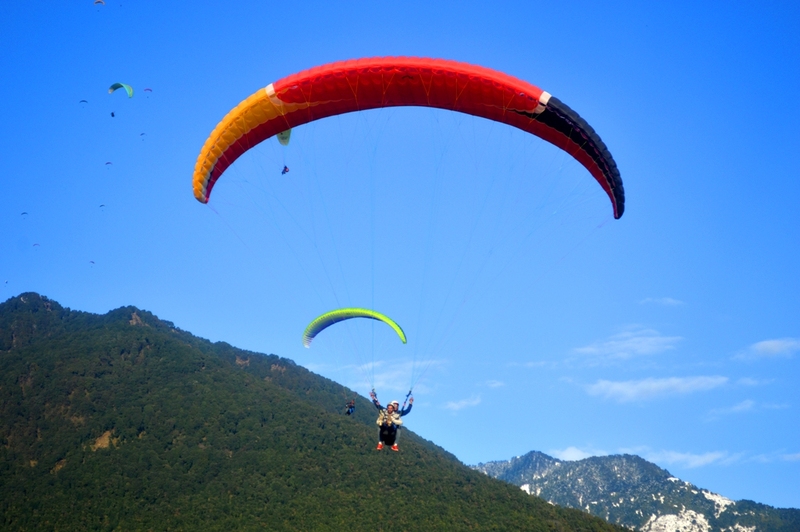 Paragliding: – Paragliding at Bir-Billing is very famous for various paraglider lovers. 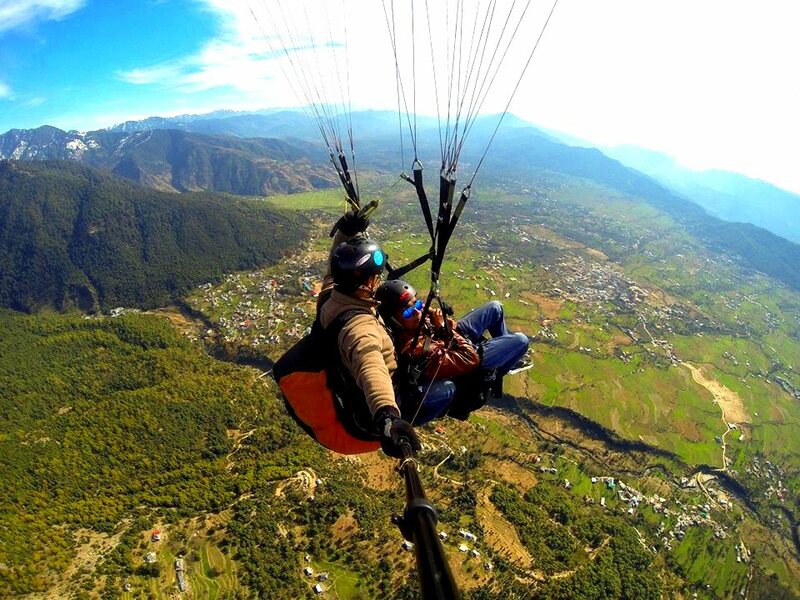 Parasailing here is safe due to the climatic condition here. 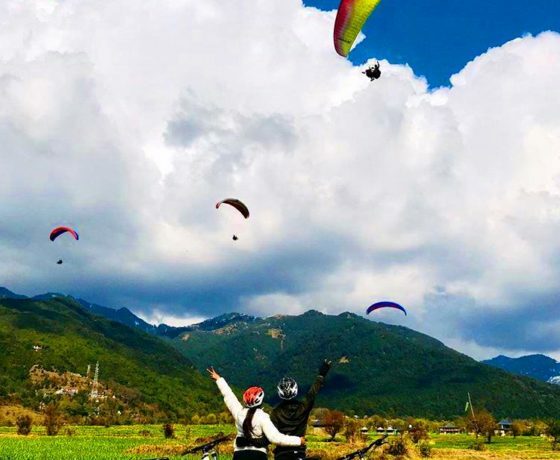 Due to the condition, which are favorable for paragliding make Bir-Billing, hosting world cup in the month of October 2015. 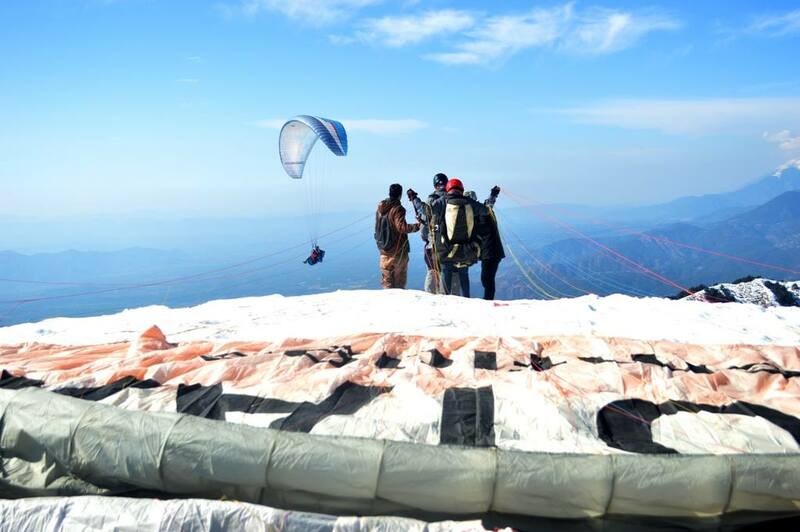 We have pilots who are doing tandem flights from Billing to Bir for our guests. 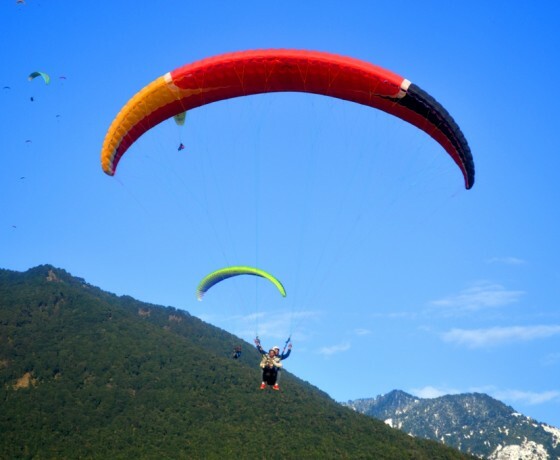 We have different paragliding flight flight options. 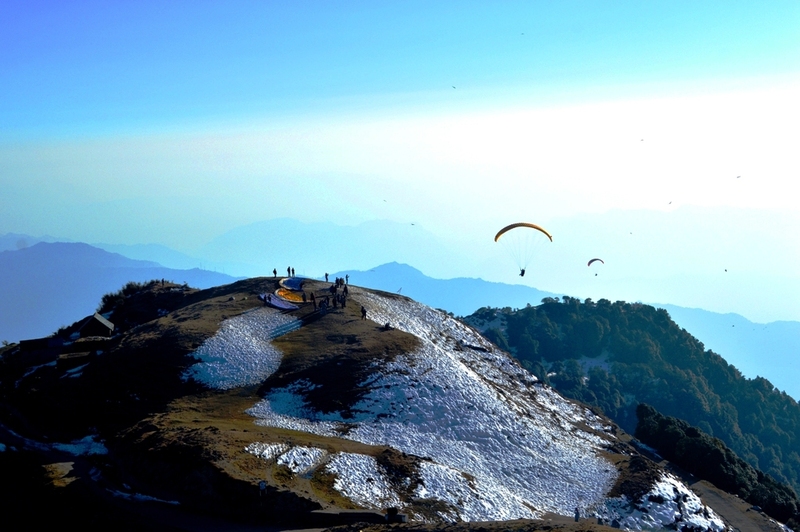 Trekking : -We have recognized various trek routes for trekking around Bir-Billing . 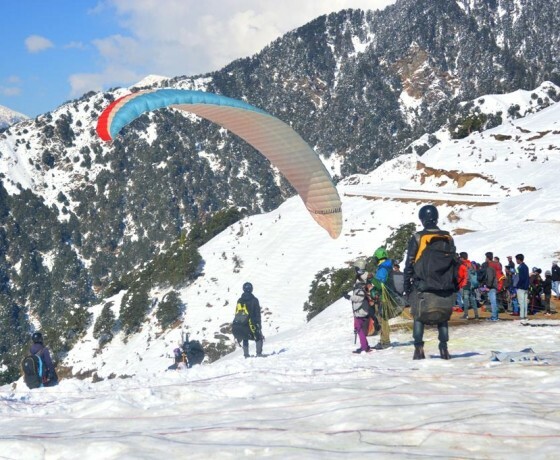 Odyssey to Himalayas is never complete without trekking. 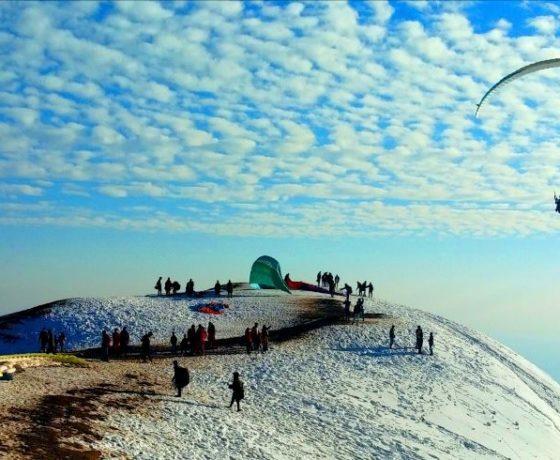 To know more about any destination just do walking in the terrain. 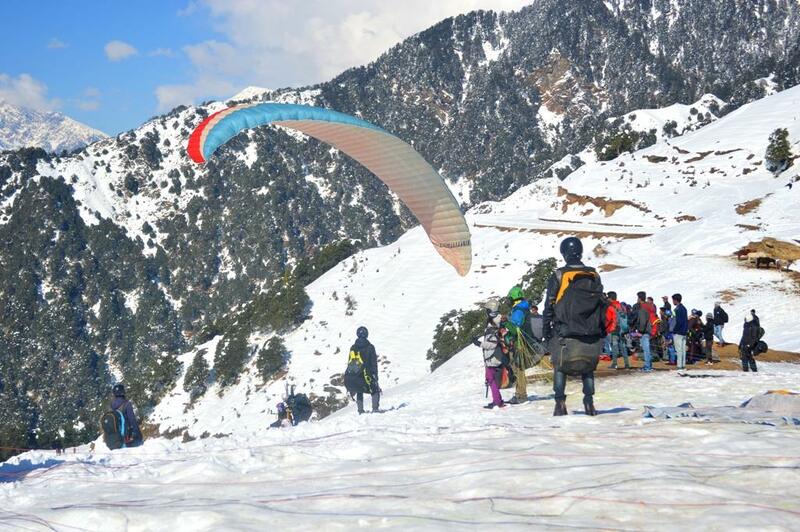 Trekking provide more experience about destination. 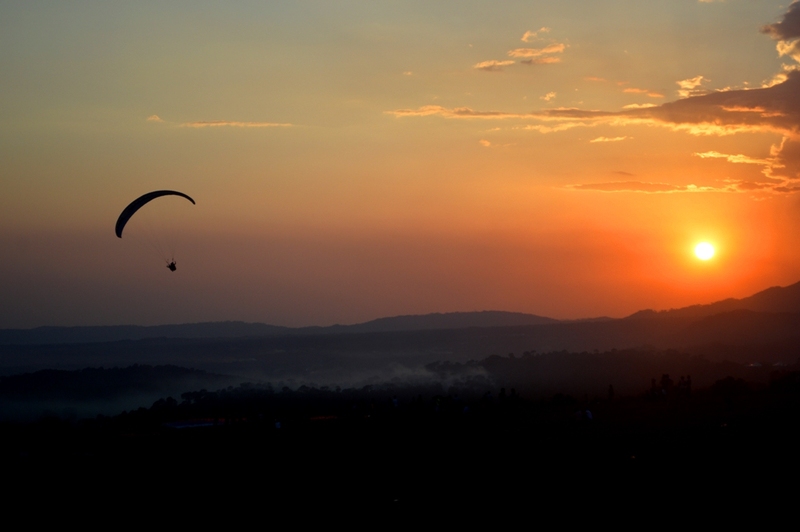 Experience it near our campsite. 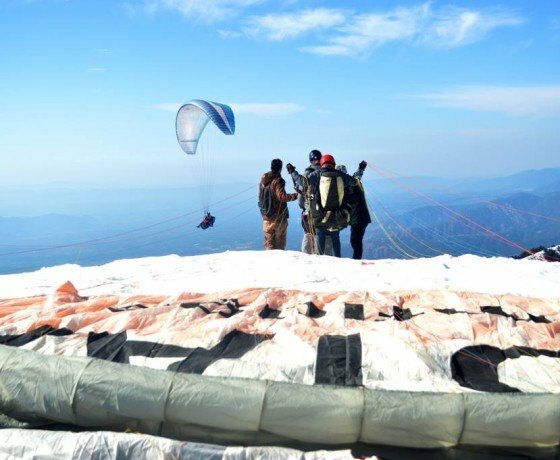 Some are day hikes and some for outdoor bivouac. 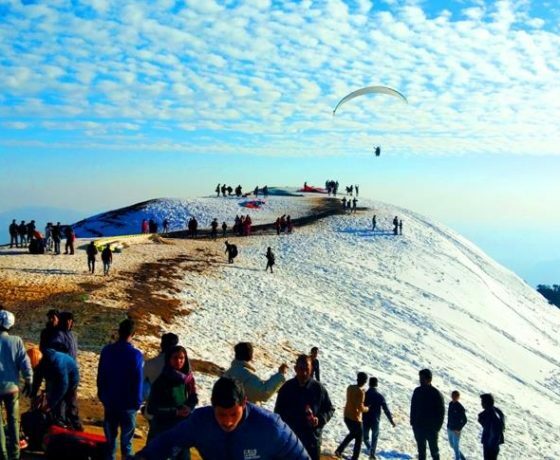 Some trails which are usually trekked as below:-. 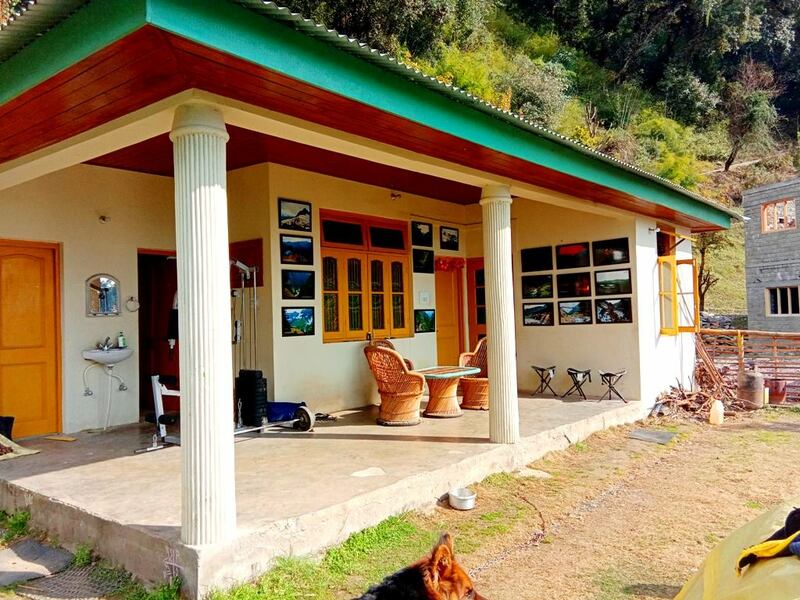 Trekking Route 5: – Drive to Billing – Channa ghat – Rajgundha village – Kukkar gundha (overnight camping) – Plachak (overnight camping) – Bada gran village – 30 km. 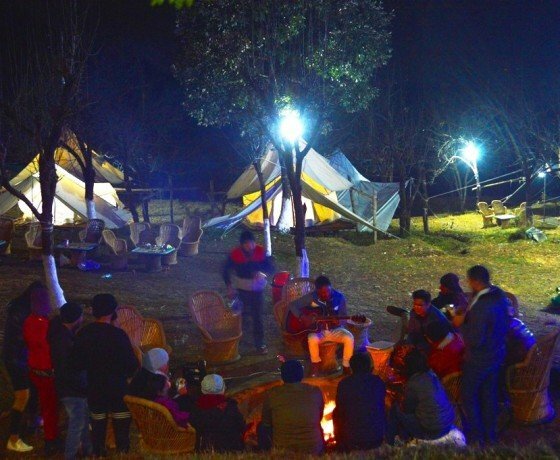 trek – drive back to Bir-Billing camping 70 km. 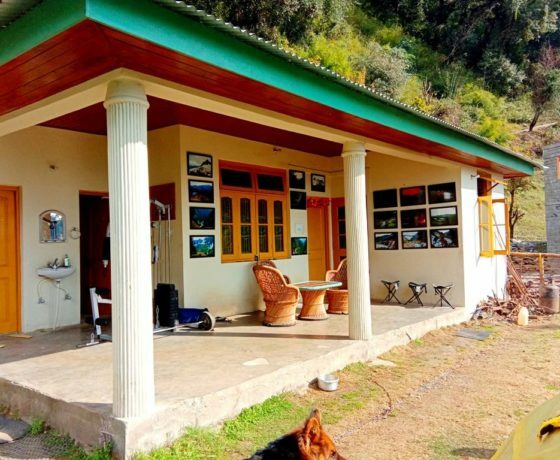 Trekking Route 6: – Drive to Bada gran, Naholta village (70 km.) 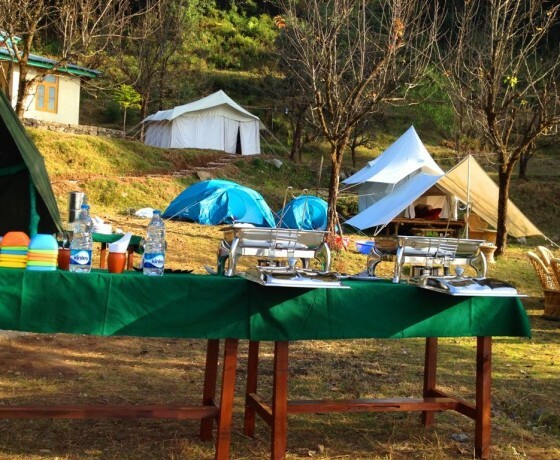 – Trek to Rajgundha (overnight camping) – Billing (overnight camping) – 16 km. 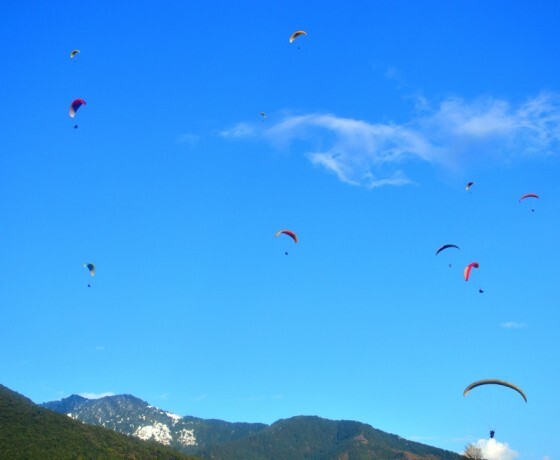 trek – Paragliding flight of 20-35 minutes from Billing to Bir – drive to camp site 4 km.